As it is believed that the greatest gift you can give your family, community and the world is progressive health and that good health and active presence at old age are two life’s greatest gifts. Medical outreach is a dedication to offer reliable and comprehensive health care services to the community. 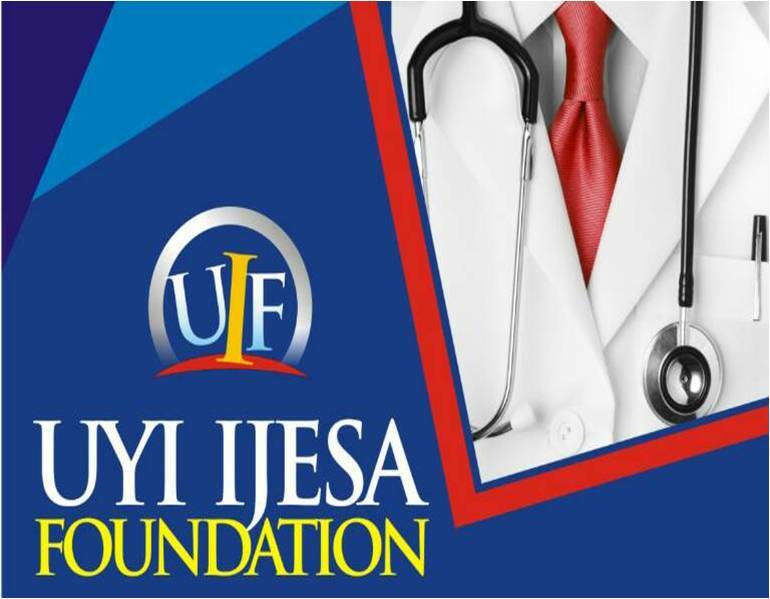 Bringing profound medical consultation and quality healthcare is a paramount and deliberate approach taken by the Uyi Ijesa Foundation (UIF) to reach out to Ilesa people. 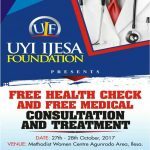 The essence of the UYI’s medical opportunities in Ilesa, Osun state is to reach the yet-to-be-reached and to contribute significantly to the wellbeing and socioeconomic growth of the land. About 1,000 patients will benefit from the sustainable healthcare services over the period. The vision of the Medical outreach in Nigeria is to monitor, improve and provide sustainable health care services to serve as a perfect fitspiration for the community at large. You can be a part of the laudable project as we make more Nigerians employable.